The VetLine Full Flush Exam Table is outfitted with an exam top which is flush on all sides and is made of 16 gauge stainless steel. 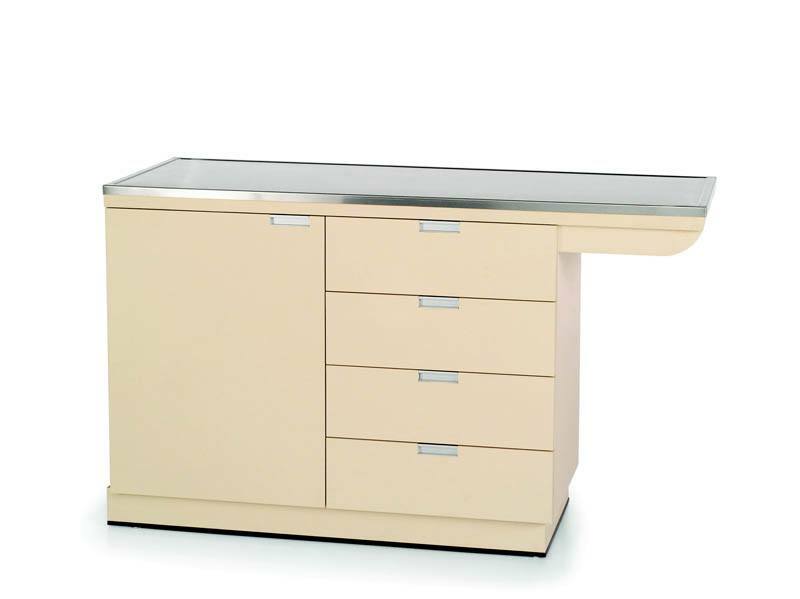 The top measures 22"W x 58"L. The cabinet is made of high quality plywood with a pressure-treated laminate exterior. The cabinet has 4 full extension drawers and a large cabinet. The top overhangs the cabinet to create a comfortable knee space to allow you to sit while working. All units are 36" high. The spacious side cabinet comes with an adjustable shelf, and the interior of the cabinet is coated with moisture and stain resistant melamine. 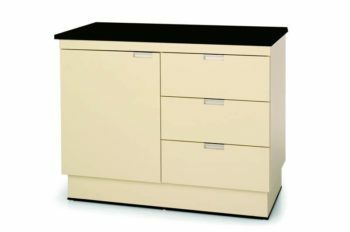 The standard cabinet color is almond, but you can choose from our other available colors at no additional charge.